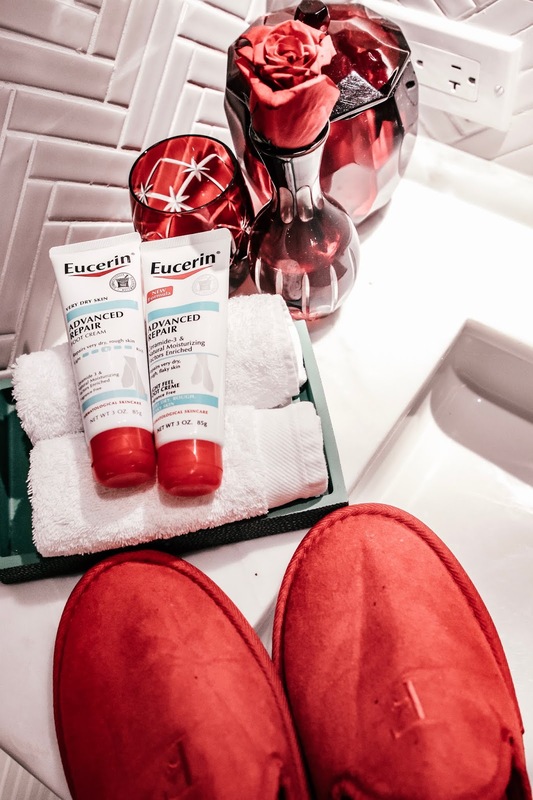 This post is in partnership with Eucerin. All opinions are 100% my own. Every Winter I have the same complaint, my skin gets dry and areas like my elbows and knees become rougher. This winter, I decided to take action to combat these issues by using the dermatologist recommended brand, Eucerin. They have a wide range of products for a variety of different skincare needs. 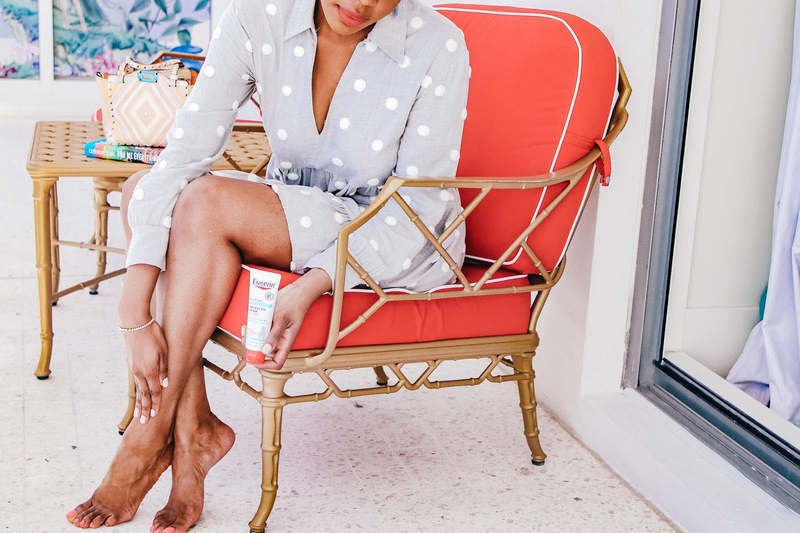 My main issue overall is dry skin, even more so my feet, elbows, and knees. 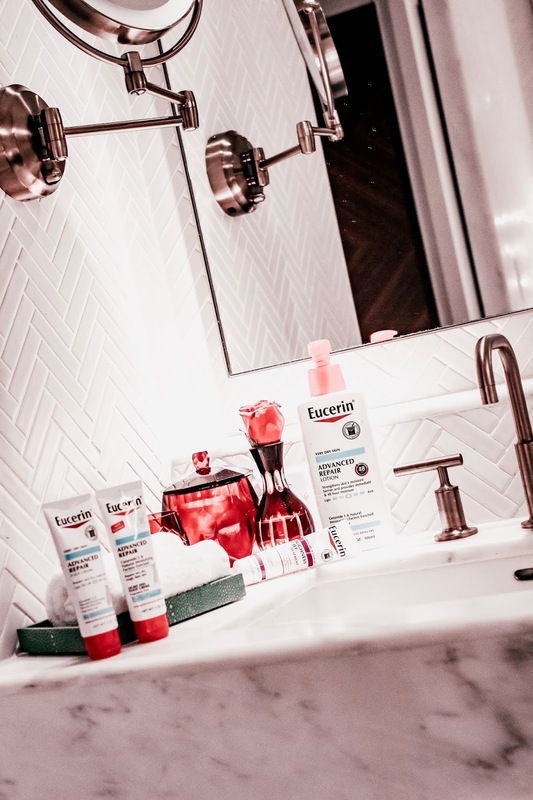 Leading dermatologist Dr. Anna Guanche helped me identify the Eucerin products that I needed to help improve my specific skincare concerns. 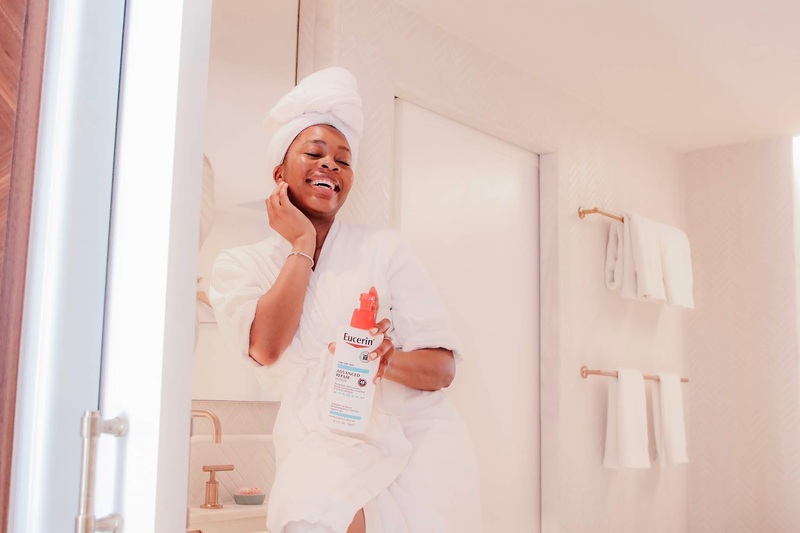 I am absolutely loving what she recommend and have been incorporating the products into my daily skincare routine. I tend to have extremely dry feet during the winter which is highly uncomfortable for me. To remedy this issue, I'm using Eucerin Advanced Repair Foot Cream. It is specifically designed for feet and gives dry to very dry feet intense moisturization. I've definitely been enjoying how extremely moisturized and hydrated my feet are after application. The product also has Ceramide-3 and Natural Moisturizing Factors, and helps to repair skin's moisture barrier. 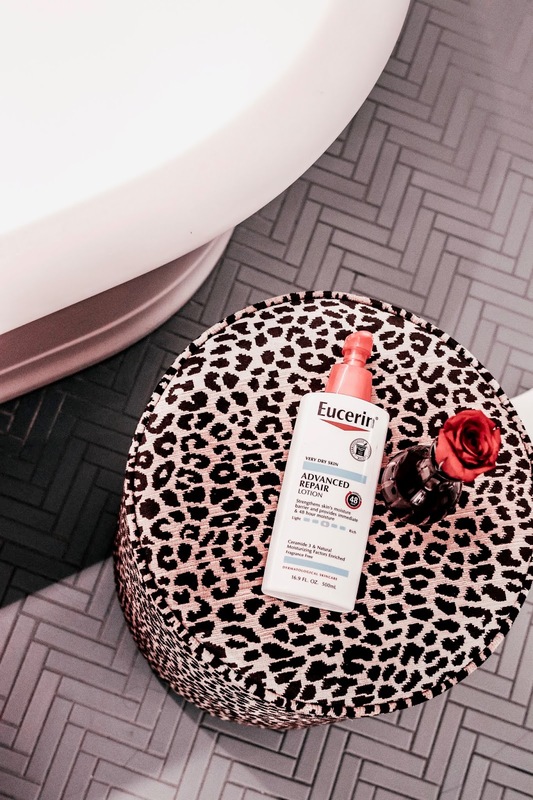 Eucerin Advanced Repair Lotion provides 48hrs of moisture for my skin and makes it look and feel hydrated. I'm all for a lotion that has the ability to improve moisture in my skin which in turn makes for healthier-looking skin. 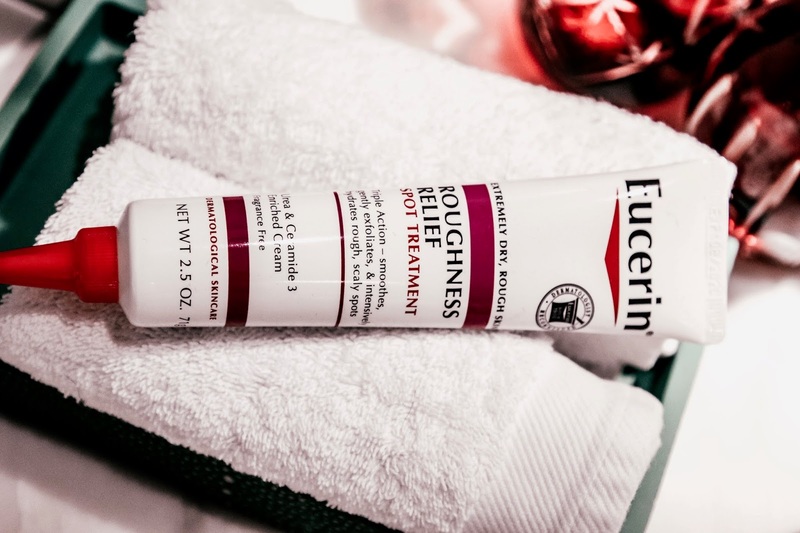 Ah, let's talk about this miracle in a tube, Eucerin Roughness Relief Spot Treatment. My elbows and knees are extremely happy with this because it gently exfoliates, hydrates, and smoothes the area. It really targets those stubborn rough and scaly areas and this makes me so happy. You can talk to your dermatologist and ask which product is right for you. I'm confident you will find something and you'll love it.